For these teachings from rabbi Jesus we draw on the six best sources in our possession today—the reconstructed "Q-text," the crucially important Gospel of Thomas, as well as the well-known synoptic texts Gospel of Mark, Gospel of Luke, and Gospel of Matthew, and, finally, the well-known yet enigmatic Gospel of John. This no-longer-extant text, named by modern scholars after the German word Quelle, “Source,” was, according to these scholars, a real, written text circulating around 50-85 CE (Common Era). It was later used by the compilers of the Matthew and Luke Gospels to form their common source of Jesus’ sayings (e.g., see the similarities between Luke, chapter 6 and Matt. chapters 5,7). A number of Q-sayings parallel those in the Gospel of Thomas. If we accept the arguments for the existence of this “Book of Q,” then this Q text is, along with much of the material in the Gospel of Thomas, evidently the earliest authentic record we have concerning what Jesus might have taught. In the Book of Q, Jesus is a sage of “engaged spirituality,” a Jewish-world equivalent of the Greek Cynic sages, who stood in solidarity with the poor and downtrodden, and courageously dared to speak out about injustice, “speaking truth to power,” “comforting the afflicted and afflicting the comfortable.” In the Book of Q, Jesus is also a mysterious figure speaking in various ways about the Kingdom of God (basileia tou theou). One scholarly camp finds in the Q-text different layers of teachings, all ascribed to Jesus, built up over time as the Q community of Jesus-people (who preserved, interpreted and added to this tradition) underwent various ups and downs, trials and tribulations. The Q-community seems to have been subject to rejections by outsiders and they themselves rejected those persons (especially Pharisee Jews) critical of the movement or not loyal to the movement and/or Jesus. Thus, scholars view the Q1 layer as the oldest group of teachings, simple sagely exhortations and admonishments to live the Kingdom of God just as nature abides in the care of God’s Providence. In contrast to Q1, the Q2 layer is a later development, a “sudden shift in tone,” wherein the purported “Jesus” grows stern, apocalyptic, judgmental, all-knowing and self-important as both the “son of man” (linking him to the Last Judgment) and “the child of Wisdom” (Hebrew: Hokmah; Greek: Sophia, feminine noun-forms). As scholar Burton Mack observes about the Q-community’s altered view of Jesus, God, the world, and their own group: “Aphoristic imperatives are gone, as is the sense of confidence in God’s care... In its place one hears the voice of a prophet pronouncing judgment on a recalcitrant world.... A man named John [the Baptist] enters the picture. There is reference to the wisdom of God and the holy spirit.... The rule of God is now spoken of as a kingdom to be fully revealed at some other place and time, presumably at the end of time. And a final judgment is described replete with thrones, court scenes, banishments, and a threatening figure called the son of man.... There was now a great deal of talk about ‘entering into’ the kingdom or being excluded from it.... The people of Q had constructed a very dangerous world in which to live.... The Q community had begun to imagine their world as a huge courtroom.... In this situation of trial, one was and would be required to give an account of oneself as a member of the Jesus movement. About Jesus there was no room for equivocation. Either one belonged or did not belong to the Jesus movement.” (Burton Mack, The Lost Gospel: The Book of Q and Christian Origins, HarperSF, 1993, pp. 131-2, 141, 163, 167). [Seeing the crowds, Jesus/Yeshua said to his disciples:] How fortunate are the poor; they have God’s kingdom. How fortunate the hungry; they will be fed. How fortunate are those who are crying; they will laugh. I am telling you, love your enemies, bless those who curse you, pray for those who mistreat you…. If someone slaps you on the cheek, offer your other cheek as well. If anyone grabs your coat, let him have your shirt as well. Give to anyone who asks, and if someone takes away your belongings, do not ask to have them back. As you want people to treat you, do the same to them. If you love those who love you, what credit is that to you?… And if you embrace only your brothers, what more are you doing than others? Doesn’t everybody do that? … Instead, love your enemies, do good, and lend without expecting anything in return. Your reward will be great, and you will be children of God. Be merciful even as your Father is merciful. Don’t judge and you won’t be judged. Can the blind lead the blind? Won’t they both fall into a pit? How can you look for the splinter in your brother’s eye and not notice the stick in your own eye?… You hypocrite, first take the stick from your own eye, and then you can see to remove the splinter that is in your brother’s eye. A good tree does not bear rotten fruit; a rotten tree does not bear good fruit. … Every tree is known by its fruit. The good man produces good things from his store of goods and treasures; and the evil man evil things. Why do you call me “Master, master” [“Lord, Lord”], and not do what I say? Everyone who hears my words and does them is like a man who built a house on rock…. But everyone who hears my words and does not do them is like a man who built a house on sand. Foxes have dens, and birds of the sky have nests, but the son of man has nowhere to lay his head. Ask and it will be given to you; seek and you will find; knock and the door will be opened for you. Nothing is hidden that will not be made known, or secret that will not come to light. Don’t be afraid of those who can kill the body, but can’t kill the soul. I tell you, don’t worry about your life, what you will eat, or about your body, what you will wear. Isn’t life more than food, and the body more than clothing? Think of the ravens. They don’t plant, harvest, or store grain in barns, and God feeds them. Aren’t you worth more than birds? Which one of you can add a single day to your life by worrying? And why do you worry about clothing? Think of the way lilies grow. They do not work or spin. But even Solomon in all his splendor was not as magnificent. If God puts beautiful clothes on the grass that is in the field today and tomorrow is thrown into a furnace, won’t he put clothes on you, faint hearts? So don’t worry, thinking, “What will we eat,” or “What will we drink,” or “What will we wear?” For everybody in the whole world does that, and your father knows that you need these things. Instead, make sure of his rule over you [“seek ye first the kingdom of God”], and all these things will be yours as well. Sell your possessions and give to charity. Store up treasure for yourselves in a heavenly account, where moths and rust do not consume, and where thieves cannot break in and steal. For where your treasure is, there your heart will also be. Everyone who glorifies himself will be humiliated, and the one who humbles himself will be praised. Whoever does not accept his cross and so become my follower, cannot be one of my students. Whoever tries to protect his life will lose it; but whoever loses his life will preserve it. What does it profit a man if he gain the whole world but lose his soul/self? [A Jewish law expert asked him what is the greatest commandment in the halakah or Jewish law:] You must love the Lord your God with all your heart, with all your soul, and with all your mind. This is the first and greatest commandment. And the second is similar to it: You must love your neighbor as your self. [Q2 layer, attributed to Jesus by a later development of the Q community:] The lamp of the body is the eye. If your eye is single [or: good], your whole body will be full of light. But if it is not, your whole body will be full of darkness. If the light in you is darkness, how great is that darkness! Many of the 114 sayings that follow this opening line have been shown by scholars to be core sayings just as early as the earliest core sayings used by the canonical gospels, especially as found in the Q text used by and embedded within Matthew and Luke. Most of the sayings in the Thomas Gospel are not to be found in the Q text, and thus were being circulated by a different community of Jesus people—we can call them the Thomasine community. By the time of 80-85 CE and afterwards, that is to say, by the time of the compiling of the Gospels of Luke and Matthew, and then John (90-110 CE), the intensely mystical message of the Thomas Gospel was unacceptable for most Church leaders, as it promoted far too much inwardness and independence. This mystical disposition was seen as a threat to an already ecclesiastical and increasingly institutional church that had set up priests and sacraments for the mediation of God's Grace unto believers. For the Thomasine community of early Jesus lovers, there need be no mediators and no belief systems: God is already within and all-pervasive as pure Spirit. Several scholars, starting with Gregory Riley (Resurrection Reconsidered: Thomas and John in Controversy, Fortress Press, 1995), have argued that the John Gospel may have been written around the end of the 1st century specifically to counter the “Thomasine Christian” community’s views, for there are clear-cut attempts in John to shift the idea of the “light within us” over to the exclusive position that “the Divine light is manifested as Jesus alone.” Contrary to God saying in Genesis 1:26-27 that all of us are created in the "image and likeness of God," which is scriptural basis for the Thomas Gospel’s elevated view of our innate Divine connection and resources, the Gospel of John sees humanity as cut off from God and needing Jesus, the divine savior come down from heaven, for us to be able to come into the Divine Presence. Riley points out how the John Gospel deliberately creates three anecdotes to denigrate “doubting Thomas” to thereby undercut the status and validity of the Thomasine Christian community. In Jn. 11:16 Thomas is made to disbelieve that Jesus can raise Lazarus from the dead; in 14:5-6, Thomas doubts where Jesus is going; and in 20:24-28 Thomas doubts that Jesus has bodily risen from death. In the last instance, Thomas is notably excluded by the John Gospel from the ten disciples who receive the power of the Holy Spirit from Jesus after his Resurrection (Matthew and Luke both include Thomas as among the “eleven,” after Judas left). For those mainstream scholars who've tried to argue that the Gospel of Thomas is a mid-2nd century CE work or later, this obvious vendetta that the John Gospel holds against the Thomas disciple and against the central thrust of the egalitarian inner Divine Light-doctrine in the Thomas Gospel would indicate that the Thomas text of Jesus’ sayings was already circulating by the late 1st century if not much earlier, i.e., before the Mark Gospel, as Davies indicates on the basis of textual criticism. Translations of the Gospel of Thomas given here below are mainly from the 1977 edition published by E.J. Brill, translated by Thomas Lambdin; also from the 1959 edition publ. by Brill, translated by A. Guillaumont, H.C. Puech, G. Quispel, W. Till, and Yassah ‘Abd Al Masih. See Elaine Pagels & Marvin Meyer's translation in her Beyond Belief, pp. 227-42, and the aforementioned Early Christian Writings website for several other translations. Become passersby. (T 42) [Combine this with the parable Jesus tells about the Good Samaritan (Luke 10:25-37), which is explicitly about not being passersby, and one has the consummate spiritual balance of “being in the world but not of it,” that is, being fully involved while being completely uninvolved, i.e., transcendently free in Spirit, yet capable of rendering service to all]. The Mark Gospel, the most “undeveloped” and “under-theologized” of the four authorized canonical gospels, contains the earliest narrative about Jesus’ deeds. It features his prophetic ministry of healing and wonder-working, teaching and provoking, commencing with his baptism by John the Baptist (1:9) and concluding rather briefly with his resurrection and simple "reception up into heaven" (16:19) after a more lengthy telling of Jesus' captivity, trial and mocking by the Jewish high priests and crowds (here is the origin of nearly 2,000 years of Christian anti-Semitism! ), followed by his torture and crucifixion by the Romans, headed by a "reluctant" Roman governor Pontius Pilate, almost entirely "white-washed" of responsibility in the Markan account. It is this Mark Gospel upon which the Matthew and Luke Gospels rely for their narrative and some of the sayings. Scholar Burton Mack, in A Myth of Innocence: Mark and Christian Origins (Augsburg Fortress Press, 1998) has challenged the reliability of the Mark Gospel as an authentic source for a narrative about Jesus' ministry of doings, comings, goings, passion, crucifixion and resurrection. If one accepts Mack's claim of the Mark Gospel being pious fiction, then we have very little evidence for what Jesus was like other than from what can be deduced from the two texts of Jesus' sayings—the Gospel of Thomas and the earliest layer of the Q-text. In any case, the Mark Gospel was almost certainly the first of the four canonical gospels to be compiled, circa 70 CE, when most of the Jesus movement, originally quite Jewish, had begun to Hellenize or paganize itself as a distinct new religion (soon to be called "Christianity") separate from and rather antagonistic toward mainstream Pharisee Judaism. We note how the most important reason for this "de-Judacizing" move away from Jewishness for many (but not all) of the Jesus-people was that, with the Romans' destruction of the Jewish temple in 70 CE and their rampant, ongoing persecution of Jews from this time onward, it became politically feasible for most of the Jesus-people, especially the followers of the missionary Paul of Tarsus, to identify more with Hellenism than to be identified any longer as "a Jewish cult of Jesus-lovers." We might also note that some communities of Jesus-people did retain their "Jewishness," such as the Ebionites, the "Poor Ones," who evidently survived into the 4th century CE in Judea. The Ebionites may or may not be the same group as the Nazirites or Nazoraeans, who, if actually different, were another Jewish Jesus-loving group in the region. Robert Eisenman, who did so much work to make The Dead Sea Scrolls (discovered in 1947) more accessible to scholars at large, in his massively researched tomes James the Brother of Jesus (Penguin, 1998) and its sequel, The New Testament Code (Watkins, 2006), and The Dead Sea Scrolls and the First Christians (Harper Collins, 2004)—Eisenman controversially thinks the Scrolls date from the 1st century CE (not earlier) and give us a view of the original first-century Nazirite Palestinian Messianism ("Palestinian Revolutionary Apocalypticism") of the Jesus people as led by his brother James after Jesus' passing. Herein, Jesus is a human messianic prophet but not divine, his brother James is revered as head of the Jerusalem Church, and Paul is an "apostate of the Law," a nasty Herodian who persecutes James and invents a very different, very Hellenized "overseas Christianity" in the 50s CE which would then be played up by the gospel authors one generation to two generations later. People, especially illiterate people, love hearing narrative stories. With Mark's very moving and highly dramatic narrative about Jesus, the Mark Gospel and then later Gospels (Matthew and Luke) using the Markan narrative soon dominated and surpassed the more primitive, unsystematized “sayings texts”—the Gospel of Thomas and the Q-text—in the minds and hearts of most early Christians and their emerging institutional churches. For instance, the Mark Gospel would be a much more attractive and easy Gospel to preach in a community setting, and so the more primitive and disorganized Thomas Gospel, the Q-text, and any other early texts of Jesus' sayings current at the time all fell into increasing disuse and then oblivion until the rediscovery of the Thomas Gospel and reconstruction of the Q-text in the latter 20th century. We see with the Mark Gospel, for all its “under-developed” theology, the increasing dominance and eventual triumph of a new distinct religion of Christianity. 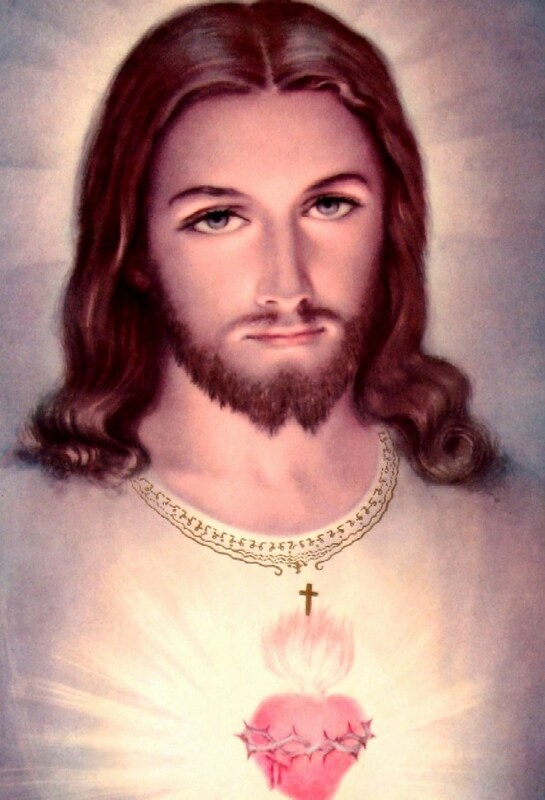 This is a religion about Jesus instead of the mystical inner spirituality of Divine Realization that Jesus himself lived and wanted to communicate to his disciples, as evident in the Gospel of Thomas. This eloquent gospel, dating from around 85 CE, and evidently compiled by the same author/editor(s) who compiled Acts of the Apostles, features Jesus as a great wonder-working healer suffused with the power of the Divine Holy Spirit, a rabbi teaching in the synagogues, and a preacher of wonderfully compassionate and multi-level parables (e.g., see the parables of the good Samaritan, the lost sheep, the prodigal son, etc.). This gospel bases its narrative of Jesus' ministry on Mark, though, like the Matthew Gospel, it adds a long “birth/infancy narrative” and then an anecdote about Jesus teaching the Jewish elders in the Temple at age 12 (Luke 2:40-52), and then elaborates a death and resurrection narrative longer than Mark's. These Lukan birth and death narratives, predictably, differ from the Matthew and Mark versions in some important details, so anyone who claims that all the Gospels are literally, infallibly true has big problems on their hands to reconcile these and other texts’ contradictions. The Matthew Gospel was positioned at the opening of the New Testament when this canon was compiled several generations after Jesus lived, but most likely it was written well after the Mark Gospel, around the same time as the Luke Gospel, i.e., circa 85 CE. Like the Luke text, the Matthew Gospel is based on the Gospel of Mark for its narrative and some Jesus-sayings, and uses the Q text for its primary source of sayings from Jesus. Like the Luke Gospel, this text compiled by the author-editor(s) calling himself or themselves “Matthew” also has access to some stray sayings from Jesus not found in the Q source-text. Like the Luke Gospel, our Matthew Gospel evidently takes earlier Jesus-sayings in circulation and elaborates them into longer teachings, or sometimes embeds teachings within a dramatic context of Jesus interacting with disciples or the community at large. I have mentioned near the outset of this webpage that the Matthew Gospel evidently and unfortunately contains a lot of inauthentic material, especially the long-winded diatribes against the Pharisees put into the mouth of Jesus by some later scribe(s). We know this is inauthentic material for a few reasons: 1) Unlike short, pithy, easy-to-recall aphorisms, long diatribes would be impossible to remember verbatim and then set down word-for-word fifty years later in a new text. It's much more plausible and probable that some "angry scribe," ticked off at the Pharisee Jews for not accepting Jesus as the Messiah or as the Son of God, sat down and wrote out pages of this venomous verbiage around the time the gospel was compiled and this material was put into Jesus' mouth as uttered by him. 2) Jesus was by most accounts of the evidence a Pharisee Jew, along with most Jews of his time. Unless one accepts Robert Eisenman's thesis (based on a late dating of the Dead Sea Scrolls) that Jesus and brother James et al. were Nazirite revolutionary Messianists, then Jesus was not a member of the other kinds of Judaism current during his time—i.e., he was not a Sadducee involved with running the Temple at Jerusalem, an angry Zealot trying to overthrow the Romans, or an Essene Jew aligned with the Qumran community (which was notably pro-Zealot in its sympathies). It's most unlikely that he would spew out lengthy harangues against the Pharisees and repeatedly refer to them by that name "Pharisee" as an excluded Other, an enemy of the Jesus community. 3) Echoing the chief commandments of the Torah, Jesus taught "love thy neighbor" and "love thy enemy"—it's therefore not in character for him to explicitly, repeatedly and vituperatively damn these fellow Jews, who formed the mainstream majority of Jewry at the time. In light of the foregoing, we must view the Matthew Gospel, like all these ancient texts, as a mixed and rather motley collection of different expressed viewpoints, some of the material quite memorable, inspiring and spiritually worthwhile, whereas other material is better left to the dustbins of time. Alas, people like Adolf Hitler and other vicious anti-Semites long before him and well after him, obsessed over this anti-Pharisee material in the Matthew Gospel and used this material and other anti-Semitic passages in the New Testament (e.g., the fabricated Barabbas story in the canonical Gospels suggesting it was the Jews who were really responsible for killing Jesus, not the Romans)—they used all this invented material to justify their worst, murderous impulses against Jews. This is the last of the canonical gospels to be compiled, around 90-110 CE or later. Unlike the three synoptic gospels (Mark, Matthew, Luke), all based on the Markan narrative of Jesus' ministry, the John Gospel has its own narrative story with many elements not found in the Markan story. The John Gospel also notably features a much more “divinized” view of Jesus and his ministry, a more schematized story-line of Jesus as the eternal Logos who has come down from heaven as the Divinely Incarnate Son of God (like the Roman emperor was esteemed as “the son of God”). This emphasis contrasts strongly with the synoptic Gospels, which focus primarily on the Kingdom of God, with Jesus serving as God’s prophet. Note, however, that the many “I am …” statements attributed to Jesus in the John Gospel (and in a few places in the other gospels) need not necessarily point to his own exclusive Divinity as an Incarnation, but can be seen to follow ancient Jewish prophetic literature, in which the prophet becomes a mouthpiece for God’s Wisdom (Hokmah / Sophia, feminine noun-forms). In effect, Jesus and the other authentic Jewish prophets become a channel for the Divine “I Am That Am” revelation. Recall, however, our discussion in the preface to the Gospel of Thomas, on how it now appears to an increasing number of scholars that one of the several purposes of the drafting of the John Gospel was to combat, destroy and eliminate the central message of the Thomas text: that Jesus is a mystic sage inviting those who are ready to hear and apply it the message that the Divine Light is already our immediate Source and True Nature or Identity. Instead, the John Gospel uses various devices to denigrate "doubting Thomas" and conclusively have Jesus narrowly insist (in the manner of someone with an authoritarian personality syndrome) that he alone is the Divine, "I am the Way, the Truth and the Life, no one comes to the Father except through me." (Jn. 14:6) In the final "insult" to the Thomas Gospel and Thomasine community, in the passage from 20:24-28 the John Gospel has Thomas disfranchised from receiving the power of the Holy Spirit via Jesus' blessing and then, when Thomas sees Jesus, finally fall on his knees and declare Jesus to be "my Lord and my God," i.e., God Incarnate—a distinctly non-Jewish idea! Thus does the John Gospel promote external belief (belief in a separate, distinct Jesus) over one's own empirical experience, which would have unfortunate ramifications for Christianity over the next two millennia. Elaine Pagels and other scholars have noted how the John Gospel, with its heavy emphasis on "proper belief" (orthodoxy) centered exclusively on the Divine Jesus as the "only Son of God," was not widely accepted at the outset nor for several generations. There were simply too many Christians (especially in the Thomasine community in Asia Minor, where the John Gospel was also likely composed) who felt that the essence of the "Jesus way" was to follow this God-realized human exemplar Jesus directly into the depths of transcendent mystical experience. But the relentless efforts of bishop Irenaeus of Lyon in the late 2nd century (he is principal architect of the four-gospel scriptural canon), followed by Church fathers like bishop Athanasius in the early 4th century, insured that the John Gospel would be triumphant in putting all the focus on Jesus (not on one's own mystical-experiential potential) and succeed in setting the "high Christology" tone of the Nicene Creed and later theology, as opposed to the more human, self-emptying (kenosis) Jesus of the Mark Gospel. For these and other reasons, most New Testament scholars do not consider the majority of the following Jesus-statements in the John Gospel to be authentically from Jesus, but to be later interpolations put into his mouth by the theologically-oriented compiler(s) of the John Gospel. Yet, in light of the sagely aspect of Jesus found in Gospel of Thomas, many of these “I Am” sayings could possibly be reclaimed for a mystical Christianity.